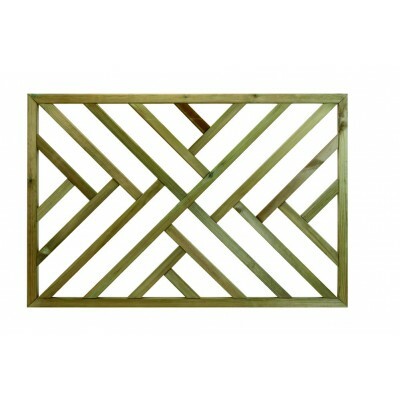 Single wooden panel with a simple criss cross pattern. The panel fits around the edge of a decking area for decoration and extra privacy. Overall size: 760 x 1130 x 36mm. Compatible with the Richard Burbidge Traditional timber panel system.